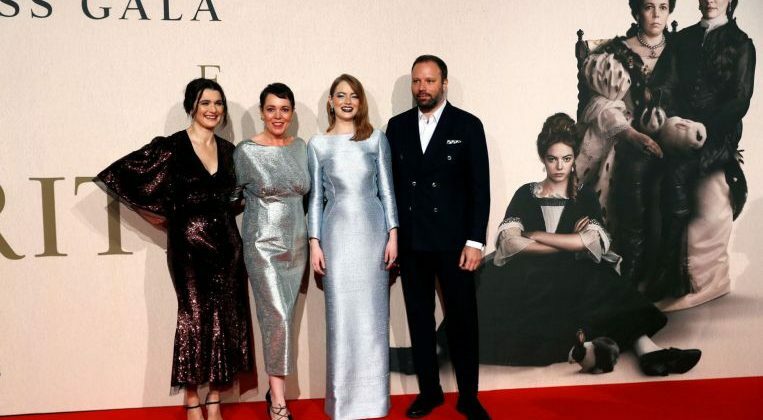 LONDON (REUTERS) – The Favourite led the nominations for the British Academy of Film and Television Arts (Bafta) awards on Wednesday (Jan 9), with 12 nods for the costume drama that has already won its leading actress Olivia Colman critical acclaim and several prizes. The Favourite will compete for Best Film, Outstanding British Film, Original Screenplay – and in the Director category for Yorgos Lanthimos – at the British film awards next month. Joining The Favourite on the Best Film list are comedy-drama Green Book, set in the segregated US deep South in the early 1960s, A Star Is Born, Spike Lee’s BlacKkKlansman and Roma.